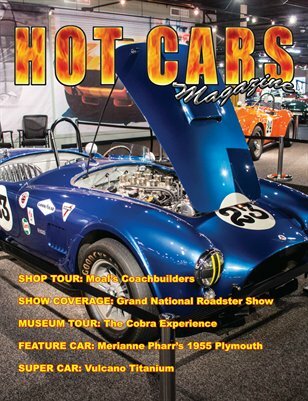 In this issue: The Cobra Experience! Even if you're not a Ford fan, this is a very interesting museum! Grand National Roadster Show, don't miss our coverage of the "Grand Daddy" of all car shows! Dave Pharr builds a show stopper of a wagon for his wife! We visit Moal Coachworks for a behind the scenes look at this world class shop?